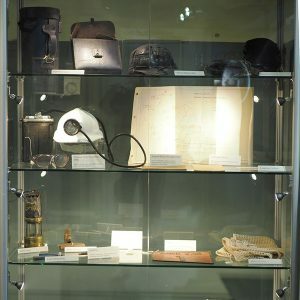 One of many fascinating items in this cabinet is the Rothbury Football, chosen as one of the Festival of the NE Top 100 Objects. 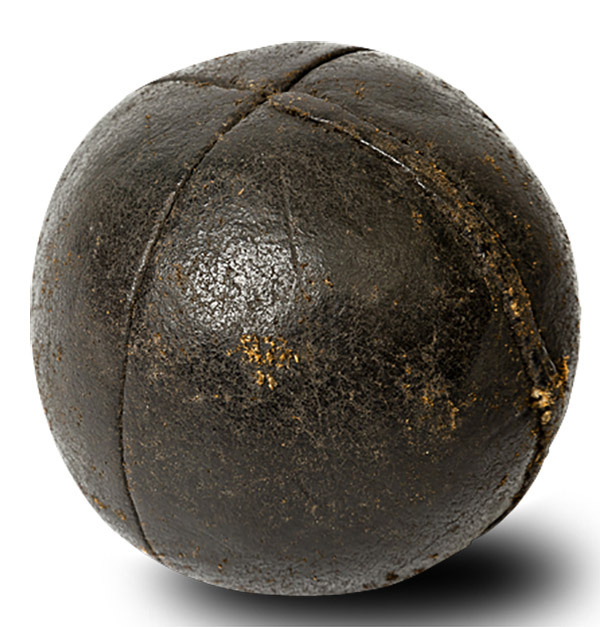 Stuffed with hay, this small leather ball was used in an annual contest between the villagers of Thropton and Rothbury, one of the earliest examples of the game. 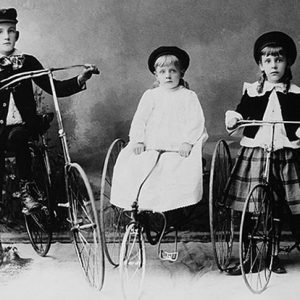 A similar event is still played annually at Alnwick on Shrove Tuesday, traditionally starting when the football is thrown from the Barbican of the castle.